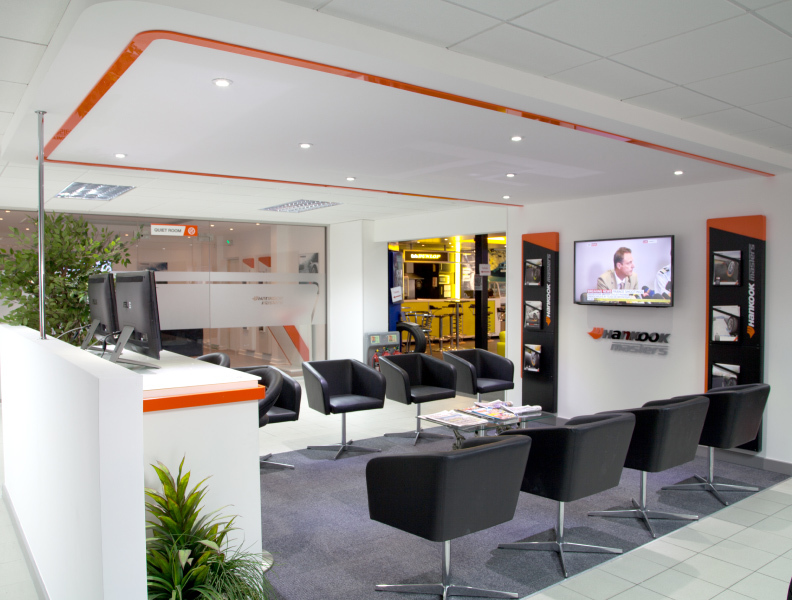 Appointed by Hankook Tyres UK our task was to develop a contemporary, visually striking and cost-effective solution for each site that would unify and raise brand presence across the network. Every outlet had its own requirements and most locations required branding or rebranding both internally and externally. In response to this we put together a unique package for each site, including internal and external signage, furniture, AV, internet, touch screen interfaces and remedial work. The customer journey was enhanced by way of discreet activity zones which were highlighted through the placement of carpeting, overhead lighting, furniture and signage.